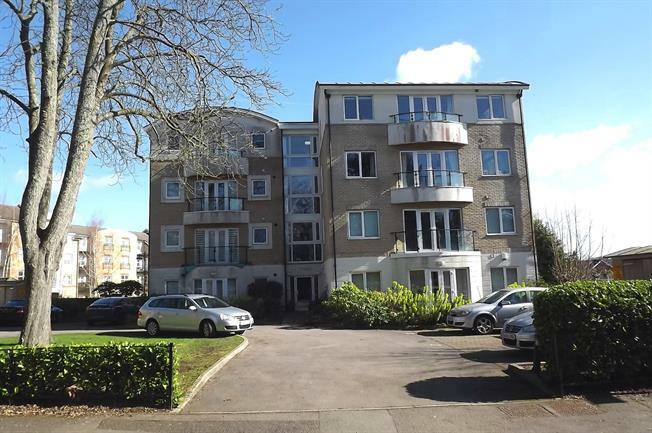 2 Bedroom Flat For Sale in Basingstoke for Guide Price £220,000. This property's price has dropped from £230,000 to Guide Price £220,000. A superbly situated luxury apartment offering bright and spacious accommodation in a modern open-plan configuration with views over the adjoining allotments, town and countryside beyond. The property is well presented throughout and with accommodation comprising master bedroom with Juliet balcony and bathroom ensuite, second bedroom, shower room, entrance hall with storage and a double aspect, open plan kitchen/dining/living room with Juliet balcony. There is also an allocated parking space outside.